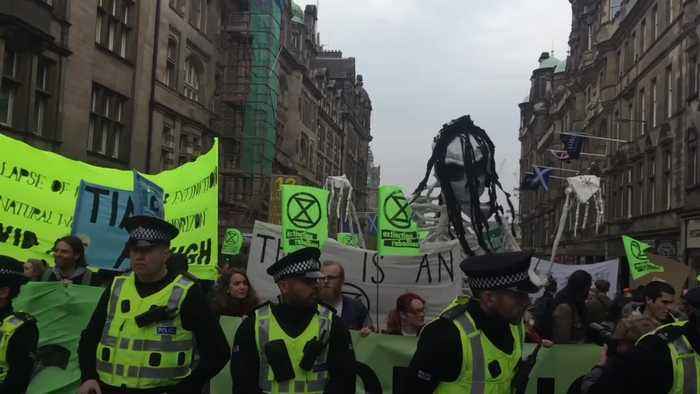 One News Page > News Videos > Extinction Rebellion > Why is Extinction Rebellion still protesting? 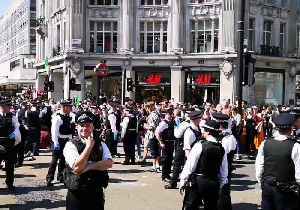 Why is Extinction Rebellion still protesting? 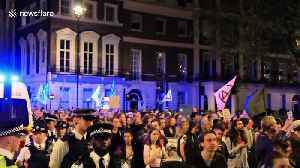 Extinction Rebellion has emerged as the premier protest movement for climate change activists. 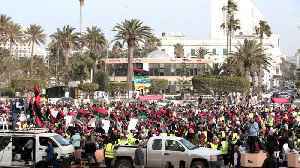 Since its first demonstration last year, the group has injected fresh energy into the environmental cause. 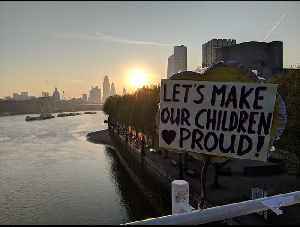 Extinction Rebellion protesters remained camped out on London’s Waterloo Bridge overnight, as seen in this video from the morning of Saturday, April 20. 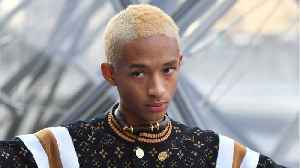 The actor Emma Thompson joined Friday’s.. 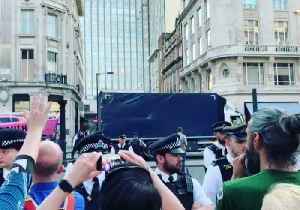 Protesters from &apos;Extinction Rebellion&apos; slowly walk ahead of a police lorry that was towing the pink ship which was earlier on Friday blocking Oxford Circus in central London. 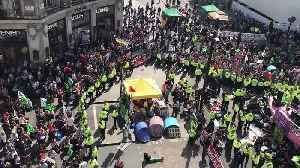 Protesters from 'Extinction Rebellion' slowly walk ahead of a police lorry that was towing the pink ship which was earlier on Friday blocking Oxford Circus in central London. 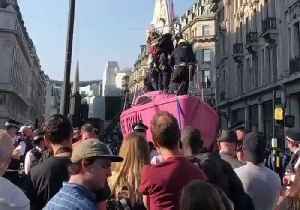 Authorities worked to remove a pink sailboat parked in London’s Oxford Circus during a climate change protest organized by the Extinction Rebellion group on April 19. Protesters attached themselves.. 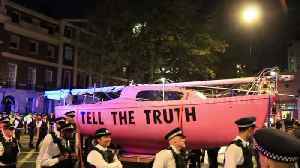 Authorities worked to remove a pink sailboat parked in London’s Oxford Circus during a climate change protest organized by the Extinction Rebellion group on April 19.Protesters attached..